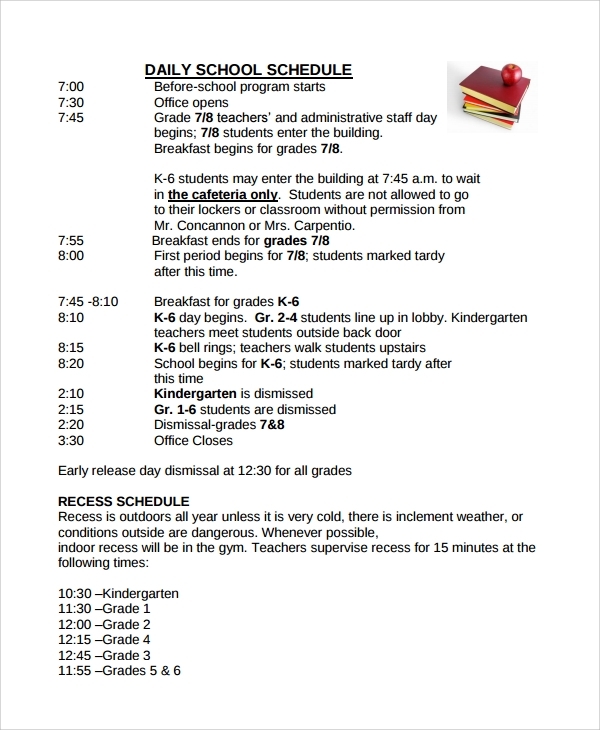 The daily school schedule template is the simplest form of school routine you may get online. This allows you to write everything about the day, starting from the opening of the school office to the closing of the school. The class timing and the register signing with details of schedule can be noted here. The weekly template makes your job very easy in organizing things. The weekly template gives a full week view of the classes of batches with detailed time frame and roster. 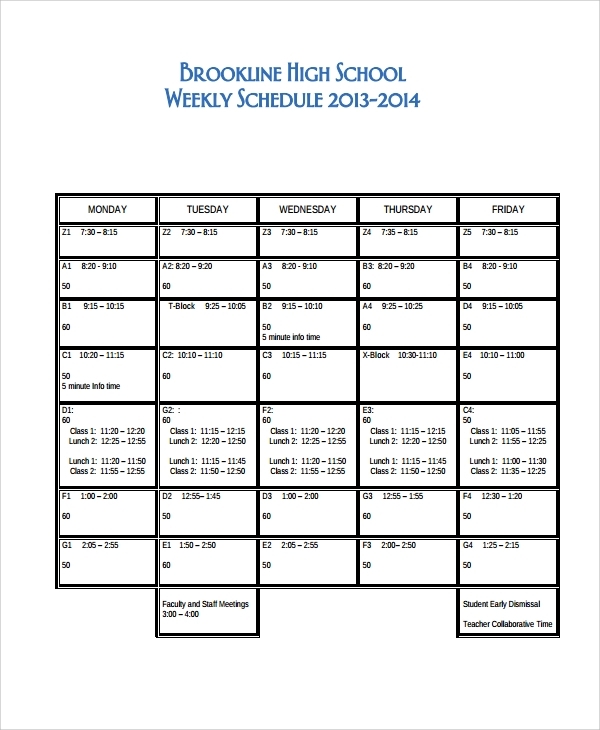 This helps avoid confusions and lets you get a weekly plan view for teachers and students. 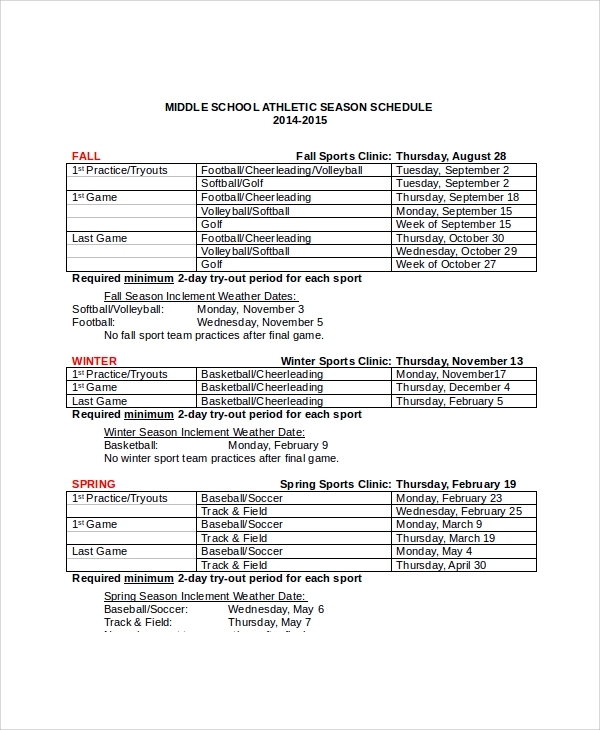 This one is another format, where you write all about the middle school classes, the special classes etc, with full details of start and end timing, you entitle the batches onto each class, at each day of the week. 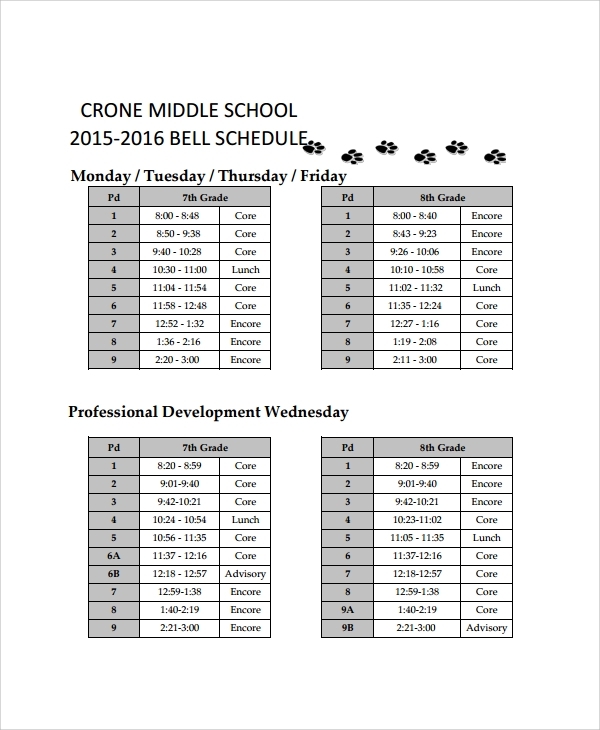 This helps design the routine for middle school easily. 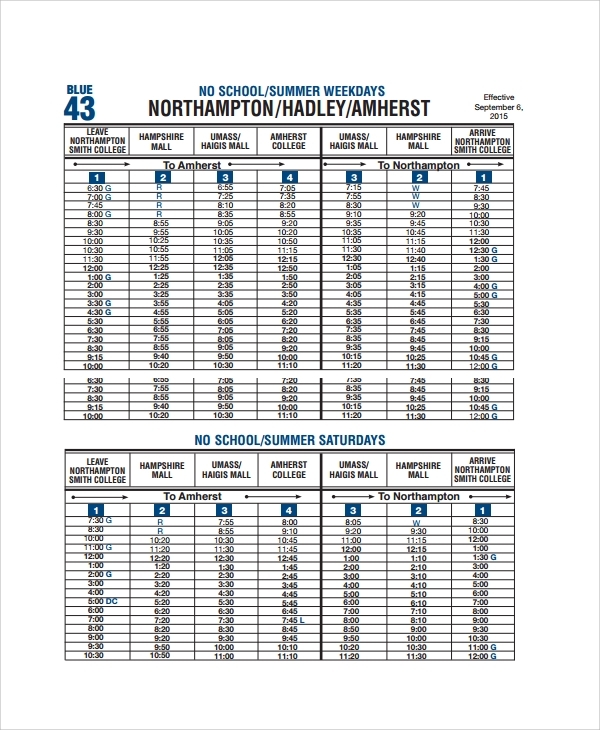 Why Use the School Schedule? 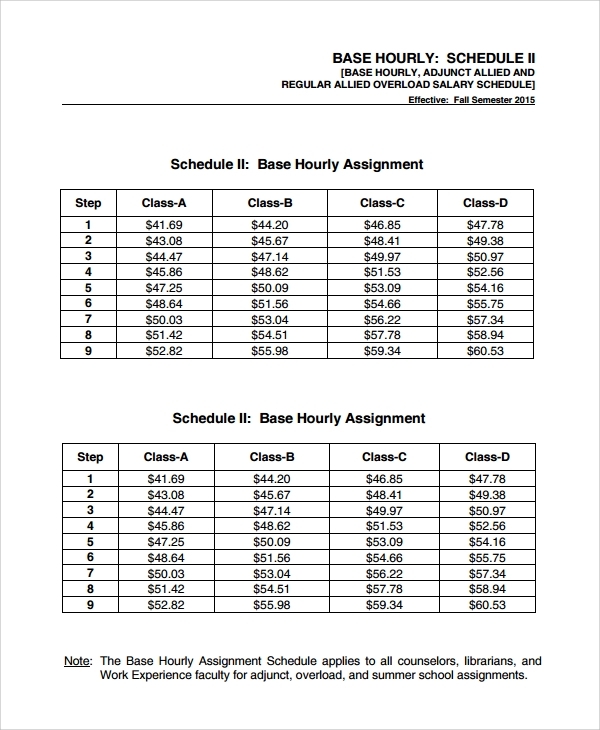 School schedule templates look easy to use but are very highly important, and it takes time to make one if you are doing it on your own. It’s not just about placing a ruler and pencil on paper to draw some lines. 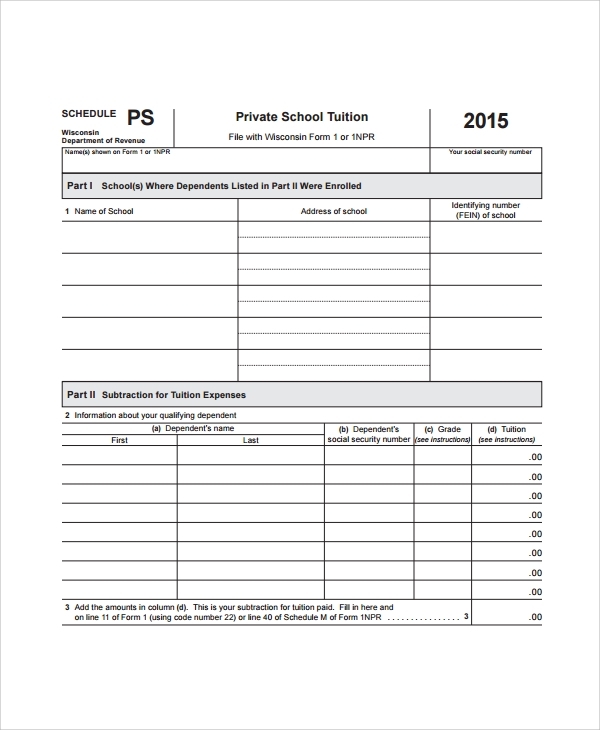 It takes more effort to form rationally sized rows and columns to fit in required fields with the field names, which must be compulsorily there in a school schedule.The class or batch name, section, timing, the teacher attending, the break hours and all details have to be in an easy to go through the format and easy to understand style. 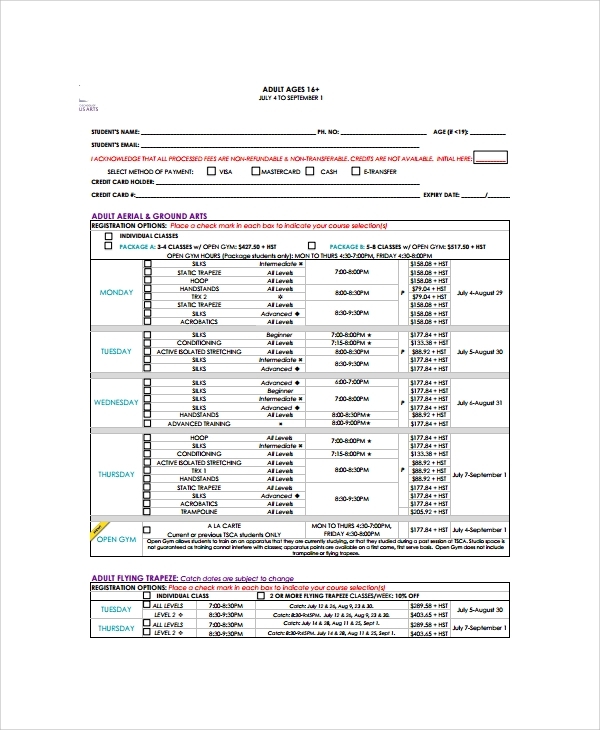 That is why the use of templates makes the formation of the schedule really easy, effortless and perfect. 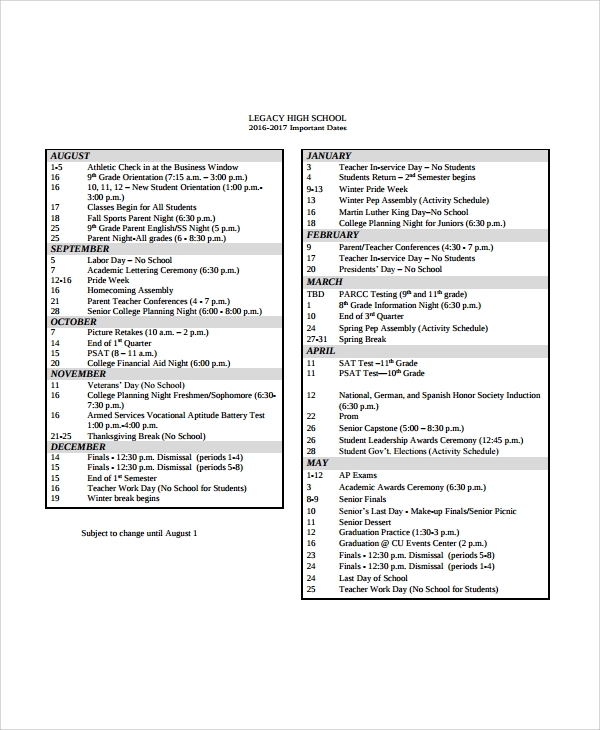 The school routine or weekly schedule template has some of the most useful styles which every institution would need some time. You can always make your own style schedule. And you may again make one of these formats to be your own with a little personalization. It’s time saving, easy on the mind, and much patterned to use the templates.